The Rally Rd. 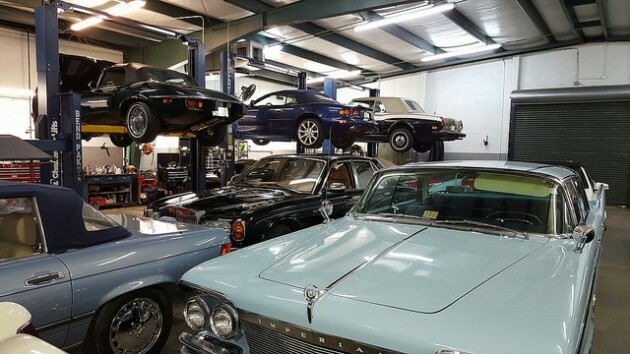 app offers stock for you to invest in collectible cars. 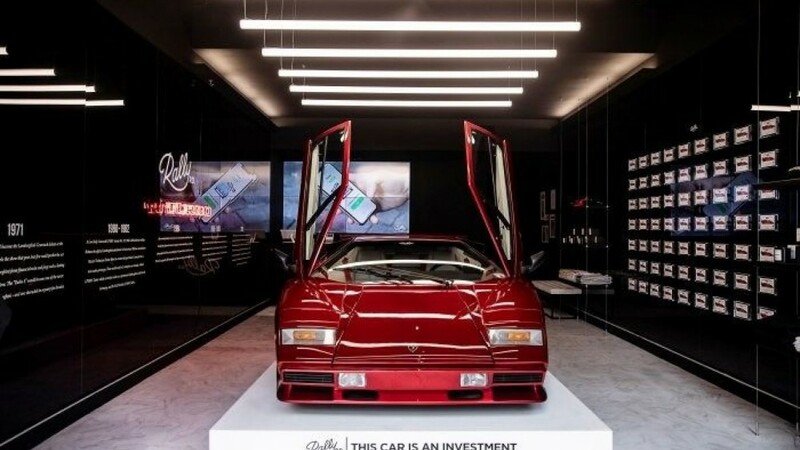 In 1984, Las Vegas casino owner Bill Pennington purchased a custom Lamborghini Turbo that had been commissioned by a Swiss auto distributor and was one of just two that were built. The car was featured on the covers of several magazines and known worldwide, but a year later it disappeared from the public eye for years. Despite rumors that it had been wrecked or stolen, it was discovered in a Nevada storage facility a couple of years ago, where Pennington had put it sometime before he died in 2011. It’s now worth $635,000 and sitting in a storefront in New York City where you can purchase it. In stock. 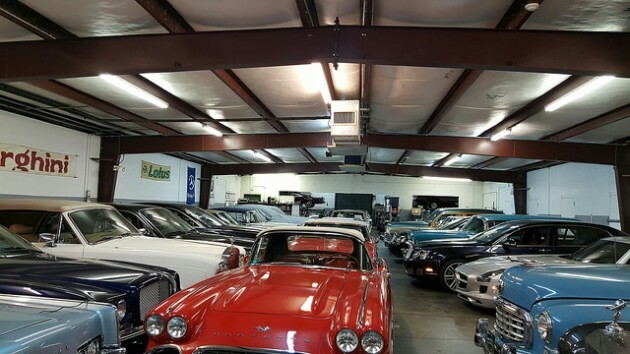 You can purchase shares for as little as $127 through an online trading platform called Rally Rd., which is located above the SoHo showroom and has turned collector cars into a new kind of alternative investment portfolio, regulated by the Securities and Exchange Commission. 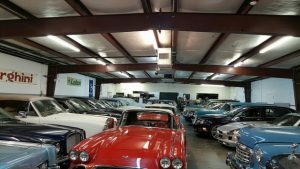 The idea was to make an affordable entry into the collector market while removing all of the hassles of car ownership. Here’s how the Rally Rd. app works: The company finds an investment grade car, makes an offer on it, then creates an LLC that buys it after a public offering of between 2,000 and 5,000 shares. After a 90-day lock-out period, those shares can be traded during opportunities that open every month or so until the car is sold at asking price and the proceeds are distributed among the shareholders. The company doesn’t charge any trading fees, but takes a commission on the purchase price, which is rolled into the offering price, and also a stake of up to 10 percent in each of the cars. It’s an interesting collection that includes a “7-Up” edition 1990 Ford Mustang, which cost $16,500 a few months ago and now has a market cap of $20,000, a 1955 Porsche 356 Speedster and a 1991 Mitsubishi 300GT VR4. “We try to be very diverse in what we offer, but we have very high standards,” said Rally Rd. CEO Chris Bruno. Over 75,000 investors with an average age of 27 are currently investing and using the app. Bruno said that a typical account averages a $1,000 spread over several vehicles. While some people are saying it’s just another way to diversify their investments, Bruno said that many are in it because they love the idea of owning the cars. As for when the cars are sold through Rally Rd. app, Bruno said the decision is dictated by market trends and data, but someone can make an offer to buy a car via the app at anytime. The company then takes a poll from the shareholders and decides whether to sell or hold. There are approximately 24 cars that are actively trading right now, and more being prepared for their offerings in the coming weeks. Bruno sees the company handling well over 100 cars at a time someday, with a mix of short- and long-term investments. It also sells merchandise tied to each vehicle to help pay for its maintenance and promote it to help drive up its value. As for the bad news, the shareholders never get to drive, or even sit in the cars they own. But with the SoHo location, and more like it coming to other cities, Rally Rd. 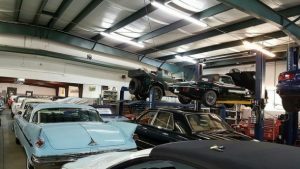 is planning to build a huge gallery with a gathering space in New York where they can hang out with each other…and their cars.